Times are tough and we're all looking for the best value at the moment. 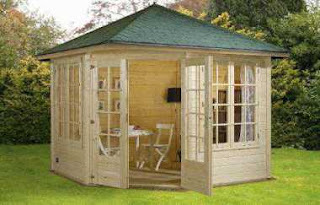 So we've introduced a selection of thinner walled garden cabins from the finnforest garden cabin range which would be perfect for garden workshops, craft rooms and playrooms. 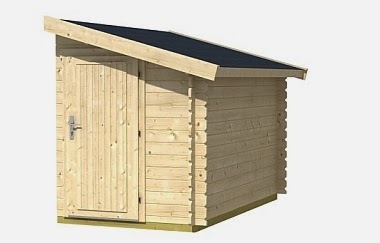 We have also added Side Stores to our range for that little bit of extra workshop space, which can be attached to most of our existing log cabins. 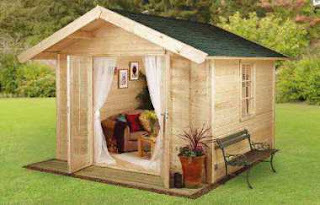 I am looking into purchasing a log cabin for the purpose of a home cinema in my back garden. 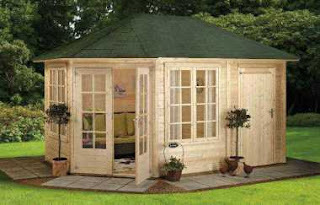 I like the look of the Liverpool (4m x 3m). The query I have is regarding the wall insulation option which will give me a clean finish and interior wall to fix the screen. Some cabin companies have mentioned the requirement of a sliding bracket system for the 2nd skin instead of using studding. Apparently to counteract the movement in the logs due to weather shrinkage/expansion. You dont mentioned the requirement for this method, and as I am no expert on this can you shed some light on whether or not it is necessary compared to studding. Drill and fix cls timber (approximately 63 x 38mm) with around 5 fixings evenly spaced along a 2.4m length. You can also use metal studwork if you prefer. Space out the studs at 600mm centres on your wall. 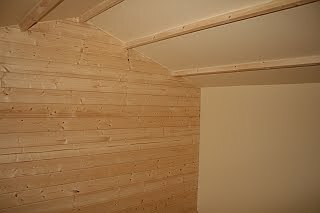 Add insulation (if required: we use 50mm Celotex or Kingspan) then fit tapered edge plasterboard 12.5mm. Tape joints, fill and sand to a smooth finish. Like you I have read the suggestion that the wall must use a sliding bracket system. In essence this means drilling slots for the stud fixings rather than holes. In my own experience this hasn't proved necessary (though it is easy to do) as there is some give in the fixings anyway. My understanding is that they are not suggesting a completely free standing internal wall system which is sometimes utilised in high spec acoustic applications in industry. The only areas where I have encountered movement problems with plasterboarding in cabins is around windows and doors and the join if any between plasterboard ceilngs and walls. As timber walls expand and windows do not a plasterboarded wall with a window in it is likely to crack somewhere. For that reason I would not recommend plasterboaring a wall with windows or doors in it. 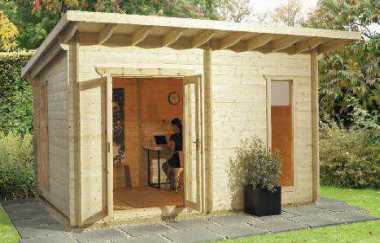 If a customer requires insulation to these walls I would recommend selecting a twin walled cabin consisting of 44mm timber +50mm gap +44mm timber which we can produce using our bespoke production service. 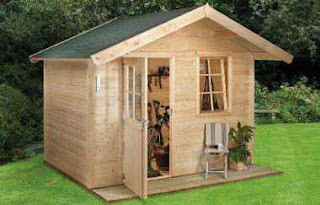 The second problem area is as the walls expand the cabin effectively gets taller and therefore the ceiling height rises and the plasterboard wall doesn't. The issue of a rising ceiling can be addressed by fitting what is best described as floating coving (fixed to the ceiling only) which would rise and fall with the ceiling covering any gap between ceiling and walls. 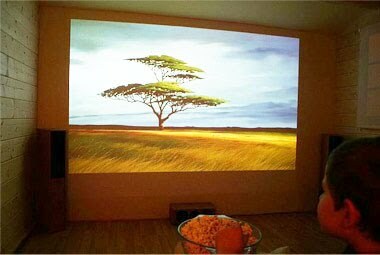 The short answer to your question is specifically for a projection wall I have had no problems using the system described above and on our website. I hope this infromation is useful and if you would like any further advice please do not hesitate to contact me.